Edge-glued panel is a single-layer glued board, in our case from coniferous trees, that is glued always parallel to the longitudinal side of the intermediate lamellas from the same type of wood. Other known terms for edge-glued panels are glulam or solid wood boards. Our panels are manufactured according to norm EN 13353 under constant supervision for the highest quality. Depending on the customer´s wishes, we will repair our panels using knots from branches, boats or filler. Standard sanding is performed on grit 100. For gluing, we use adhesive in class D2, D3 for interiors and D4 for exteriors. MFI panels are original product. We have more than 20 years of experience in the production of furniture parts and panels made exclusively from high-quality Scandinavian pine and spruce harvested under the protection of the FSC. MFI s.r.o. is always ready to propose optimal solutions so that we can provide you a service, quality and reliability of supplies at the best possible prices. Standard delivery time of MFI panels is 3 weeks. Our inventory of raw material guarantees high flexibility and therefore we are able, in the event of an unexpected situation, to deliver our panels in less than one week. MFI s.r.o. produces its panels using reputable technology from German woodworking machinery manufacturers Weinig and Dimter. Our production is focused primarily on the quality of the manufactured panelsand also on individual approach to each client. Before starting the production of individual orders we discuss very precisely with the customer the use and the placement of visible sides of furniture components. This means that we know in advance the purpose for which the respective panel is produced. Our individual approach ensures maximum customer satisfaction with the products supplied. Before the timber is placed into our production it needs to pass through the first quality control, which focuses on the proper moisture content. After the timber is cut into individual lamellas (40-45 mm width), and before gluing, each lamella is checked for quality and unsuitable pieces are discarded and usedin further processing. Before gluing individual lamellas are assembled together so that the resulting effect is colourfully harmonised. After precise formatting, any possible deficiencies are corrected using knots, boats or filler and after repairing our panels are sanded. Before shipment to the customer, the final quality is checked by specially trained quality controller. MFI panels are especially suitable for use in the furniture industry but also for carpenters and DIY in manufacturing various wooden household and garden accessories, shelves, stairs, panelling, doors and other wooden components or coffins. Spruce edge glued panel is a single-layer glued board that is glued always parallel to the longitudinal side of the intermediate lamellas from the same type of wood. Due to the superb quality of our material, which is Scandinavian timber and our experience in production, MFI panels are readily used in the furniture industry but also for carpenters and DIY. Any further question will be addressed by our production manager. 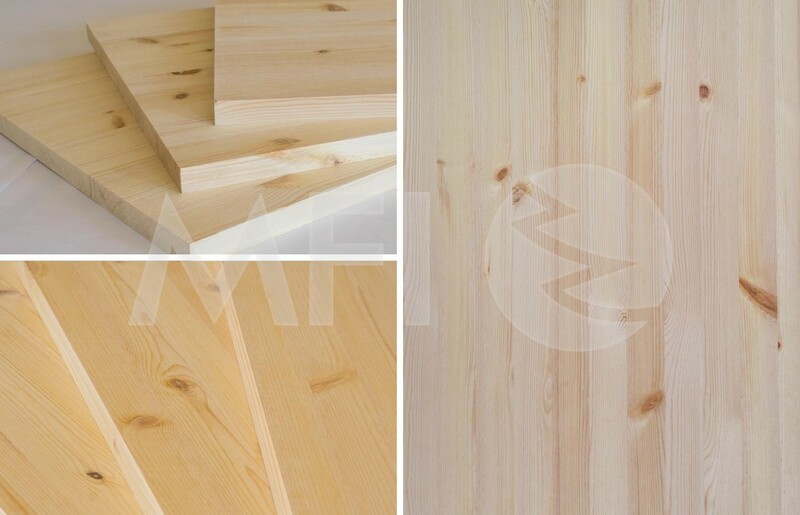 Pine edge glued panel is a single-layer glued board that is glued always parallel to the longitudinal side of the intermediate lamellas from the same type of wood. 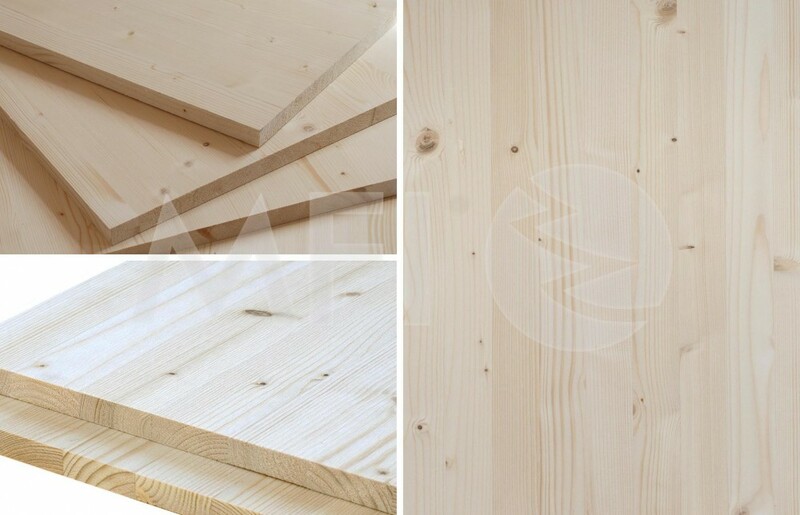 Due to the superb quality of our material, which is Scandinavian timber and our experience in production, MFI boards are readily used in the furniture industry but also for carpenters and DIY.